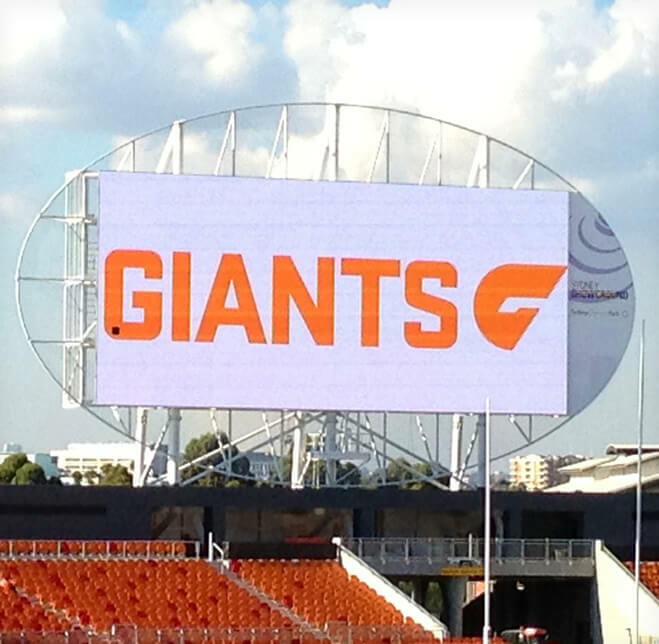 Spotless Stadium (formerly known as SKODA Stadium) has been massively upgraded by the AFL as the new home ground for the Greater Western Sydney Giants home stadium. The Spotless Stadium’s beautiful new interior is a very diverse environment, with multiple state of the art architectural features. When Harvey Norman Commercial wanted to manage the internal media setup for the stadium, they called in Atdec to find the solutions. High performance ceiling and tilt mounts installed in coaching boxes, the referee facilities, the members’ lounges, the players’ rooms, corporate suites and main corporate area; easily adjustable pole lengths; adapted to ceiling dimensions and architectural issues created by a false ceiling; tilt function for viewing adjustment; suitable for all TV models and able to take the biggest TVs with ease.